I wanted first making it like he is waitin for his final battle against Madara but someho it turned out like hes already dead lost the battle and wnder now around the underworld or waiting in themorning mist. My personal opinion is that this is one of the best wallpaper i have ever made so far im totally satisfied with it even if the vector is a simpl work and the wallpaper didnt tookmuch time somehow it turned out to be haing something i hadmiss in my previous work. First of all madara is not dead he is the leader of akatsuki and love this wall. 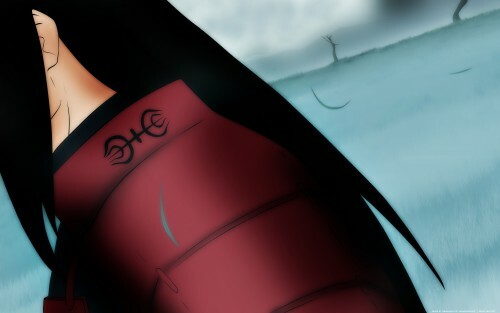 Oh i get this.this is senju hashirama the first hokage first i thought you were talking about madara. Very beautiful wall. Thanks for sharing! really love it man keep up the good work. it's really a great wallpaper! i like it so much! thx for sharing!